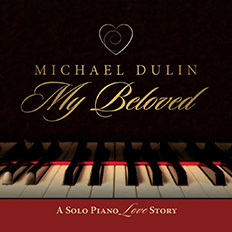 My Beloved blends classic and contemporary influences to create a beautifully melodic collection that critics are saying “is like a long and passionate love letter” and “makes every time you listen to it feel like Valentine’s Day.” Live and relive the magic of great love, through the prism of these timeless and evocative love songs. I’m excited to announce my new solo piano album, MY BELOVED, which has been in the works for a couple of years now. It’s an intensely personal album, a melodic and passionate testament to enduring love. I hope you’ll enjoy it, and share it with someone for Valentine’s Day…and all year ’round. Live your own love story through the 12 unforgettably romantic solo piano songs of My Beloved.